White Shark Diving Company (WSDC) is more than just a cage diving company. 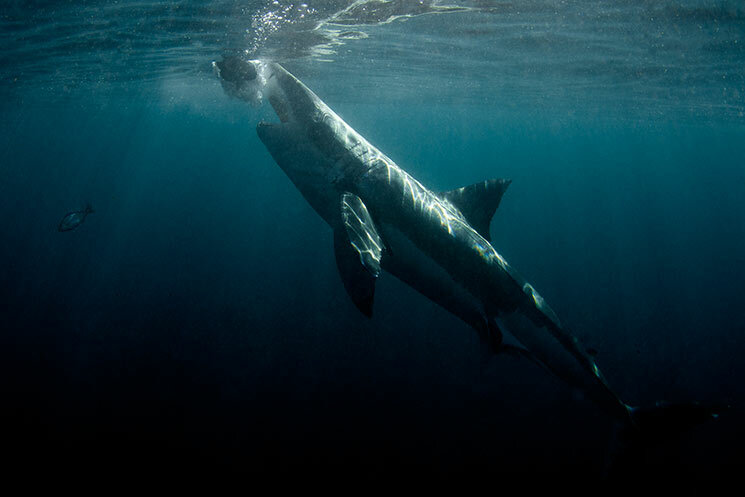 We are passionately committed to the protection of great white sharks, and actively involved in several conservation and community upliftment initiatives. Along with our support of the Sharksafe Barrier, we pay it forward by being socially responsible in the local community. To this end, we schedule regular educational cage diving trips for underprivileged children at schools in and around Gansbaai, teaching them about the ocean and marine species on a first-hand basis. WSDC also sponsors an annual internship for a scholar from Gansbaai Academia, paving their way forward for a position in the tourism industry.